We offer heavy duty copper/brass radiators for off-highway/mining trucks used in the construction and mining industries. Banco has a range of rugged designs with anti-clogging copper fin designs, customized for the construction and mining industry. We produce copper/brass radiators for engines ranging from 270 HP to 2500 HP. 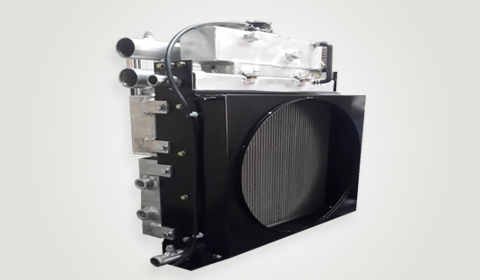 Banco uses in-house developed components (patent applied) along with dampeners, cross supports and end tube blockers to isolate the cooling modules from the extreme vibrations.